Clean studio! Free Parking! Free Internet! Studio in Marine Surf. Renovated clean room with full kitchen. The decor is modern tropical with white rattan furniture. 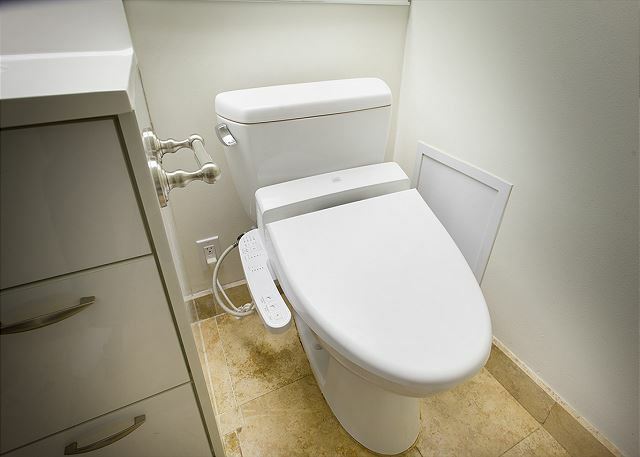 Also equipped with handy shower, bathtub and washlet (Bidet). 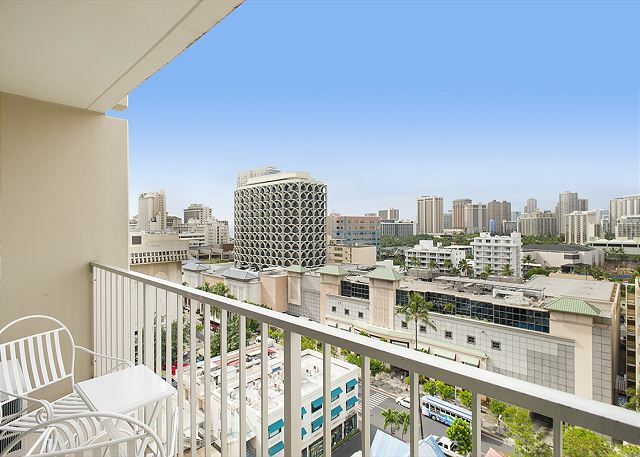 Very convenient location in the heart of Waikiki on the corner of Kuhio Avenue and Seaside Avenue. 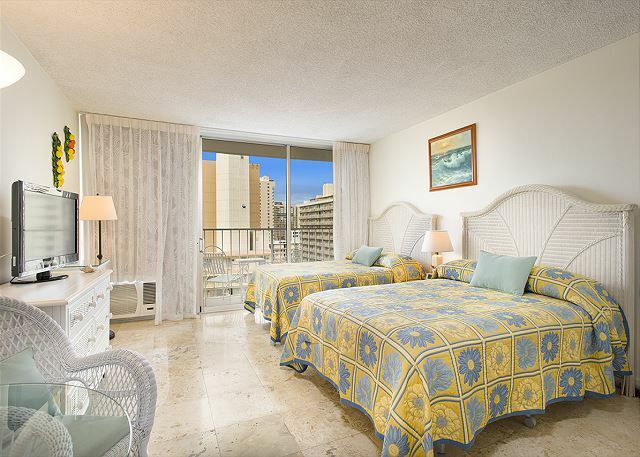 Walking distance to bus lines, shops, and restaurants, Waikiki beach! Free internet and local telephone service. 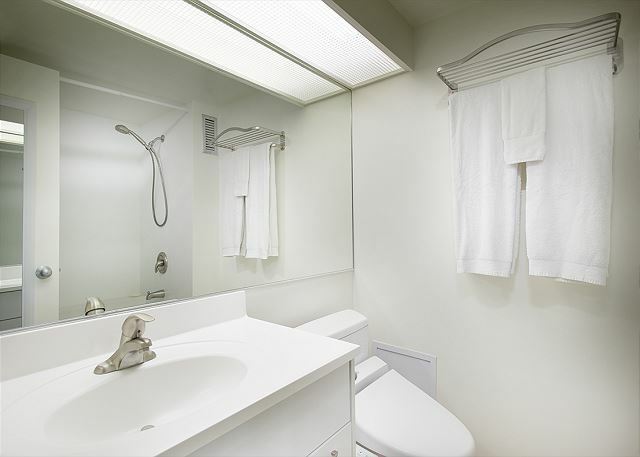 Rooms Sleeps 3, Cozy Studio in Heart of Waikiki! Free Parking! Free Internet! 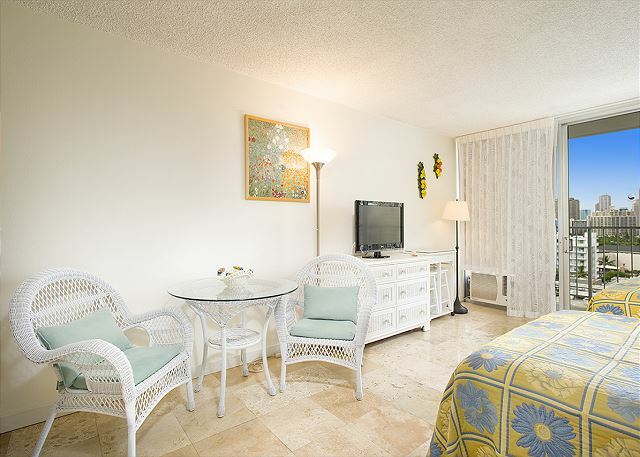 The studio condo in Marine Surf was as advertised and depicted by the pictures. The communication by the property management company was excellent. Instruction on getting into the building and room was clear. Free parking came with the rental which saves a lot of money if renting a car. 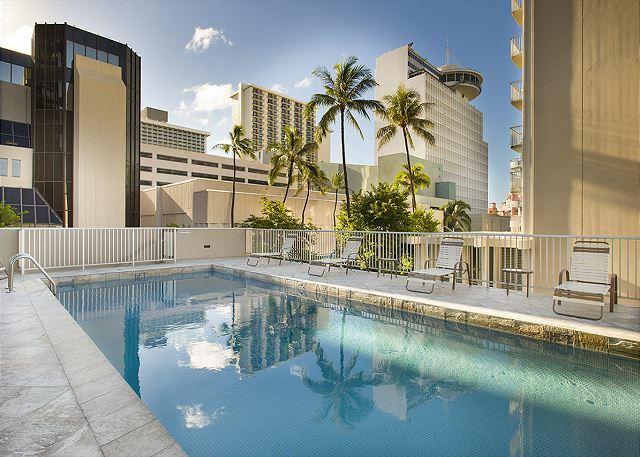 The building is in a good location close to all amenities and Waikiki beach. The room had sufficient startup supplies for the stay. Beach chairs, umbrella and boogie boards were also available to use in the unit. Laundry facility was on the same floor. At night the sounds from the near by bar can be distruping if trying to go to sleep before 10:00pm. I would highly recommend the Marine Surf for a stay in Waikiki. This is our 4th time stay at vacatoin rental services in Honolulu and was the best experience from various view points. We look forward to next stay in 2020. The suite was very clean and had everything we needed for cooking and cleaning. Its perfect size for 2 people. The location was in the heart of Waikiki which made it easy to walk everywhere. Check-in was a breeze. Enjoyed our stay and will definitely book it again. This unit is comfortable and spacious enough for 2-4 people. It has a well equipped kitchen and linen. The location at the Marine Surf is central to everything - beach, transport, shopping and more. Best thing about this unit was the location. We could walk to all the activities. Unit had everything a person could need and was very comfortable. A plus for us was the free parking that came with the unit. We spent very little time in the unit but it was perfect for us. It was a fantastic place to stay. Central, close to everything, unit was nice, just what we needed. My wife and I spent a week on Oahu. This property provided everything we needed including a fully equipped kitchen and even offered gear for the beach.The price reasonable considering its close proximity to Waikiki’s beach,restaurants, and shopping.